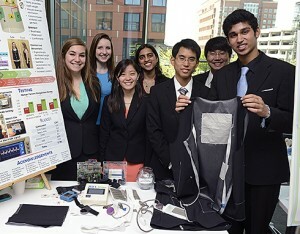 Johns Hopkins biomedical engineering students have designed a lightweight, easy-to-conceal shirt-like garment to deliver life-saving shocks to patients experiencing serious heart problems. The students say their design improves upon a wearable defibrillator system that is already in use. Their design changes, the students say, should help persuade patients at risk for sudden cardiac arrest to wear the system around the clock. Wearable defibrillators, resting against the skin, are designed to detect arrhythmia, an irregular heart rhythm that can cause death in minutes if it is not stopped by controlled jolts of electricity. People who face this higher risk of sudden cardiac arrest include patients who have undergone open-heart surgery and those who have recently survived a heart attack. The long-term treatment for such patients is to surgically implant a small defibrillator in the chest, similar to a pacemaker. However, the students said, such operations cost roughly $150,000, and it generally takes three months of testing and insurance review to get approval for the costly procedure. During this waiting period, insurance providers usually pay for the rental of an external defibrillator garment to protect the patient. More than 100,000 of these devices have been prescribed in the United States during the last eight years or so that the device has been available. The Johns Hopkins student team was assigned last year to develop a system that would lead to greater compliance among these patients. Their prototype emerged from the undergraduate design team program offered by the Department of Biomedical Engineering, which is shared by the university’s School of Medicine and its Whiting School of Engineering. The defibrillator project was sponsored and mentored by Todd J. Cohen, who earned his undergraduate and medical degrees at Johns Hopkins and who now is director of electrophysiology at Winthrop University Hospital in Mineola, N.Y. In particular, the student replaced the existing chest harness-style garment with a more comfortable vest-like design made of thin, breathable and stretchable fabric, which also is waterproof for easy cleaning. The shirt can be worn unobtrusively beneath the patient’s clothing. 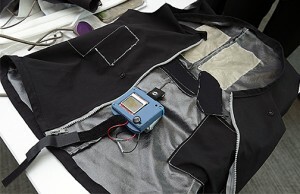 Its electrical components, capable of delivering a 200-joule shock to stop a deadly arrhythmia, are encased in thin pockets on the sides of the garment. The students also replaced a bulky control box hanging from the patient’s waist with a smaller wireless system worn like a watch on the patient’s wrist. This controller gives the wearer a 30-second warning to stop an impending shock if the system has been activated by a false alarm. The students’ prototype has already garnered some attention. It recently won a $10,000 first prize in a competition sponsored by the North American Professionals and Entrepreneurs Council. In that contest, the Johns Hopkins defibrillator group was the only undergraduate team to reach the finals, competing against graduate students and entrants with doctoral and MBA degrees. 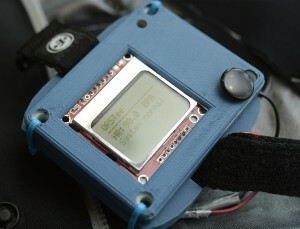 The team’s mentor, electrophysiologist Cohen, said the students’ wearable defibrillator prototype was also well received recently by physicians, medical researchers and device makers at the non-competitive Stanford Biodesign Conference. In May, the student inventors showcased their device at the annual Johns Hopkins Biomedical Engineering Design Day event, organized by the university’s Center for Bioengineering Innovation and Design. The wearable defibrillator project won the Most Innovative Design honor and took first place in the People’s Choice Award contest, collecting the most votes from those who attended the event. In addition, Subramanian was selected as the outstanding undergraduate team leader, and team member Caitlin Romanczyk was named outstanding freshman. Other team members were Taylor Lam, Powei (Billy) Kang, Chun Ming (Ernest) So, Akash Premkumar and Quinn Salditch. The students’ have completed preliminary testing at the Johns Hopkins Hospital Simulation Center, using manikins wired to mimic heart patients. The team has obtained a provisional patent covering some of their innovations. Team members plan to continue to refine the prototype and to confer with medical device makers about advancing the project. Digital photos available; contact Phil Sneiderman.